Author Carrie Elizabeth Greene is claiming 2009 for herself with a vengeance. With a novel just released and a second book coming before the end of the year, she is living the life that many aspiring writers only dream about. On top of all her other activites she is also a judge for the country's first literary reality show The Write Stuff that will be debuting during the summer. How did her journey begin? She reveals that along with what saved the life of some of the characters in her debut novel and more in this exclusive interview. Carrie, thank you for taking the time to talk with Conversations. Before we get into your book A VOICE BEHIND THUNDER, I want to fast forward to the reaction to the book. Has it surprised you what readers are saying about your debut? Yes, I never thought it would be so greatly received. I am very excited . For so many writing is a dream they can only hope to realize. How does it feel to be living this dream today? It was a long time coming, but I'm grateful that I held out and didn't give up. I have never asked you this before, but I think our readers would be interested to know when did you decide writing was something you wanted to do? I can't say that it was always something I wanted to do, not like some who know from a child that they want to be a writer. However I always liked a good story, whether on television, movies, or the written word. With that being said, how did your debut novel come about? 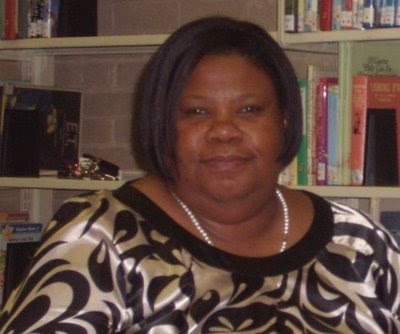 I loved to read Christian fiction and had a desire to write a Christian novel one day. When Genesis Press first started I wanted to contribute to the new project. I had this story in mind and I wrote it for them, however it was rejected. That was in 1995. You have successfully produced a balance of romance and inspiration. Was it difficult for you to decide how far to go with either? People don't like to think that romance is a part of a Christian’s life. It is very much so, and I wanted to show that although people are Christians, saved and desire to do God's work, they have and desire to have romance in their life. I lead the singles group in my church and am often confronted with how they should conduct themselves as a single Christian. There are times when we need to face the fact that Christians sometimes get off track. I wanted to do that with this book. The characters you developed are so universal that anyone should be able to see themselves or someone they know. Who did you have in mind when you wrote it? My characters are a combination of myself, and others, women and men with good and bad characteristics. People that i have met throughout my life. Redemption is a big part of the message I got from your book, especially when it comes to dealing with issues of faith and people of faith. Do you think some people take the notion of 'once saved always saved' to heart and stop trying in their relationships with people and God? Our egos like for us to believe that we are right, and the problem is with everyone else. Until we can see our own flaws and imperfections we can never forgive and love the way that we should. Our salvation is not based on works, but our ego's can keep us from living a fulfilled life while we are here on earth. So in the long run when we refuse to make our corrections we suffer. I'm not going to give away the story but it seems as though you wanted us to expect more from your characters. Will there be a sequel and what should we expect from you next. Actually, I wanted to kill off some of the characters but we decided it would not go well with the readers. I don't know if I will bring a sequel but I will write about the period, late seventies to the end of the eighties, because I believe it is an important time in our history especially for African Americans and it is worth taking a second look at. I do have a second book called "Don't Delay your Increase: A spiritual guide to giving. 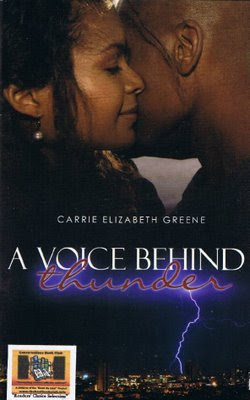 which will be released in Dec 2009, and is published by Urban Christian Fiction. It is a guide that answers questions about giving, how to give, when to give, what organizations or people to give to and when to stop giving. Now that you are a published author I know that those aspiring to be where you are have many questions. What advice would you give to them about moving forward from a thought to action? I think it is important to write a story that has a purpose and a message. Think about the person that will read your book. What are the messages you want to leave with them, and write for that one person. Don't think about how many people will read your book, just write what you feel and be transparent. Thank you again, Carrie. If our readers want to find out more about you online how can they do so?